You knock upon the pearly gate. Before you know it, it's too late. You took the apple and you ate a big ol' bite! 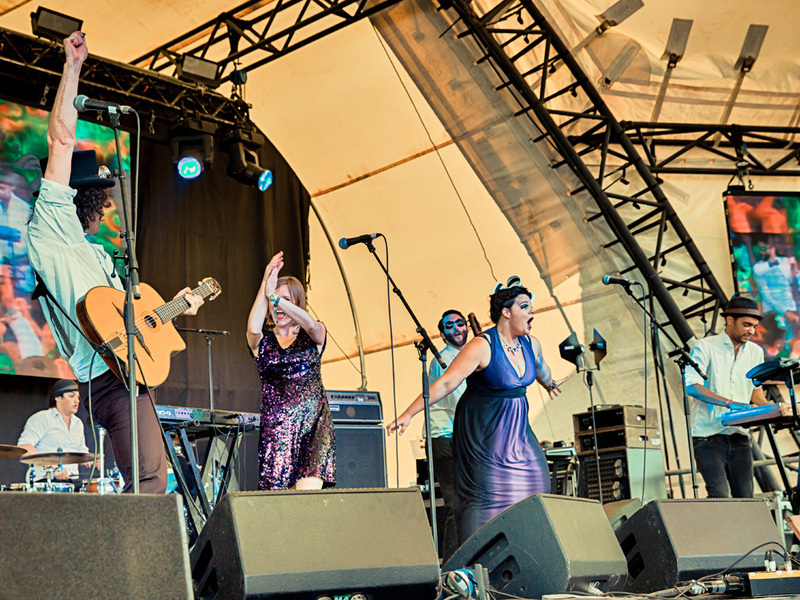 In just two years the E.S.C have risen to become the hottest live electro-swing act in the UK. The stunning 6 piece now established as firm festival favourites UK wide, touring Europe through the autumn 2013 and planning begins for more international tours in 2014. Drawing influence from 1920’s swing and jazz, the explosive sound of Electric Swing Circus reverberates back through time, re-inventing the genre of electro-swing for an ever expanding, multi-generational audience. Their inimitable sound is formed of electric double bass, vintage samples, gypsy jazz guitar, keys, live drums, dirty synths and electro beats. Fronted by a female double act performing an extensive variety of vocal styles, the E.S.C delivers a consistently dazzling show. July 2013 saw the release of the band’s crowdfunded debut self-titled album on Ragtime Records, and has been well received by press and fanbase. It is available on iTunes and Spotify along with all the major online music retailers, physical copies of the album are available, and a limited edition vinyl has also been produced. The E.S.C has a solid social media presence, over 350,000 views on YouTube and almost 7,500 Facebook fans, this number grows daily. They are highly active in the scene, running their own festival Swingamajig with great success, and hosting regular sell-out events in their hometown of Birmingham. The Electric Swing Circus are: Laura Louise (vocals), Bridget Walsh (vocals), Patrick Wreford (electric double bass), Rashad Gregory (samples & synths), Chandra Walker (drums & keys), Tom Hyland (guitar).